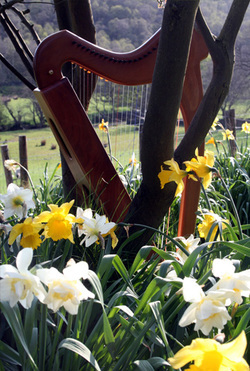 With the turning of the seasons, I offer a page of Celtic harp music, writings and reflections, and nature sounds from The Dene - the green valley where I live, the place which nurtures me, inspires me and feeds me. 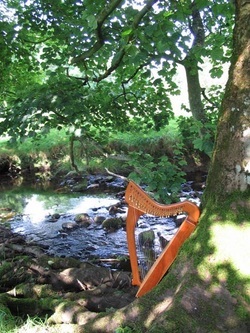 Each season, a new page offers a place to read the words, hear the nature sounds of my valley, and listen to the Celtic harp music that comes as I create a new Celtic Harp Essence. 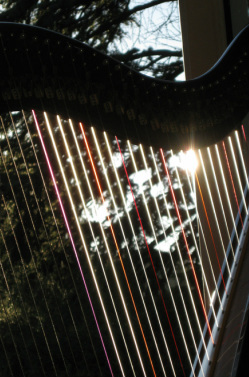 Sometimes, a slideshow of images with music is included, so that you step out of the busy-ness of life for a while, and be enfolded by the music of Julie's harp, and sounds and images of nature. I will hear the Song of the Seasons." This green place - and all its creatures of the land and of the air - have been my close companions for more than twenty years. I have watched the seasons come and go, seen my sweet children grow and blossom here, and seen my own private journey unfold within this landscape. 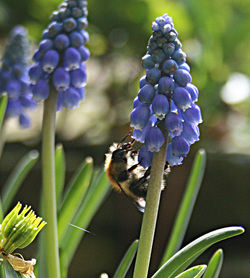 I hope you will feel nurtured and inspired by the words and images from my small part of the green world. 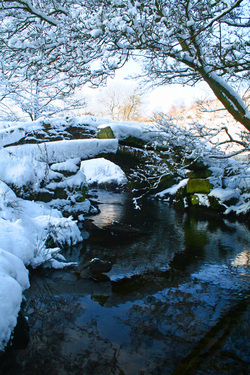 My hope is that this page will be a source of peace and inspiration for those who visit - like a 'Living Well' to refresh and restore the mind and spirit. And the Song of Peace be yours."